Chase Walker used to be a good kid—charming, athletic, and with a bright future ahead, but that was before travesty struck his life, sinking him into deep despair. Caught up in a world of drugs and alcohol, he doesn’t notice time slipping away until he’s arrested for underage drinking one night. Fed up with watching her son destroy his life, Chase’s mom relocates him to live in a small ranching community with his ex-military grandfather. Chase is far from happy about the situation until he meets, Nikki, the cute cheerleader who won’t give football players like him the time of day. Chase enjoys a good challenge though and sets out to claim Nikki for his own. He soon discovers she’s more than a pretty face—she’s a balm to his troubled spirit also. 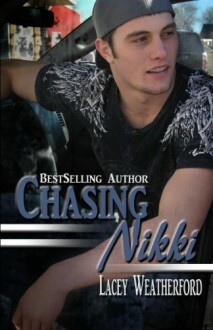 But when tragedy strikes Nikki’s life too, suddenly Chase finds himself put to the ultimate test. Can he trust Nikki, and all that she’s taught him? Will it be enough? http://Sassafrass.booklikes.com Sassafrass 4.0 Continuing this series is a must! text Continuing this series is a must!